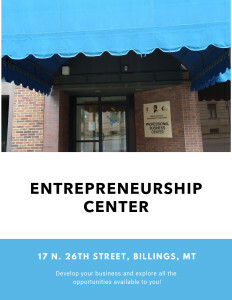 The Mission of Native American Development Corporation is to be a high quality sustainable business consulting and financial entrepreneurship center for the Native American Community. 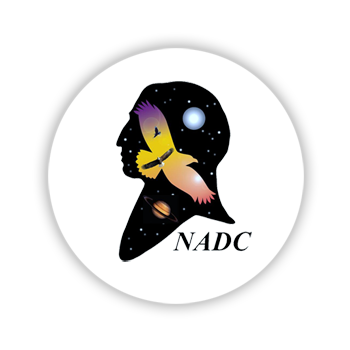 • Assist in the creation and operation of Native Community Development Corporations, empowering Native communities towards economic and social stability. business and community development and technology. 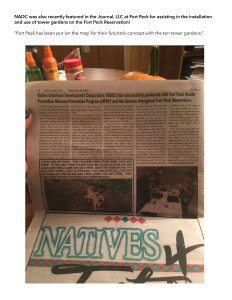 The Project will develop a set of policies and codes that can be reviewed , analyzed, and potentially adopted to create a policy framework capable of supporting strong, sustainable, and resilient food systems in Indian Country. 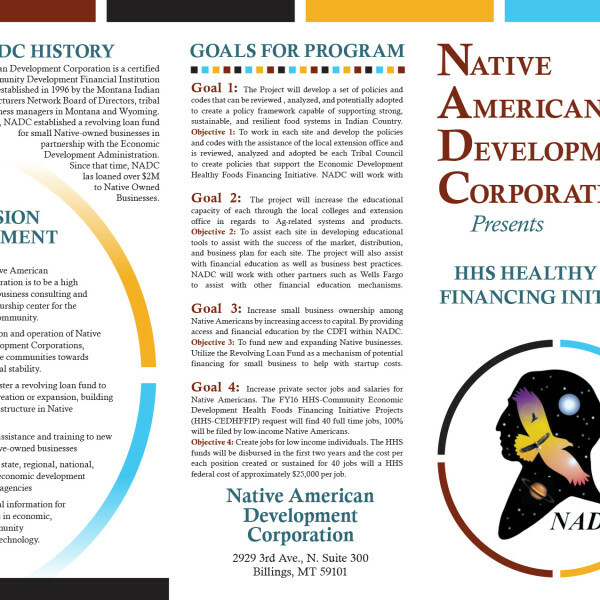 Objective 1: To work in each site and develop the policies and codes with the assistance of the local extension office and is reviewed, analyzed and adopted be each Tribal Council to create policies that support the Economic Development Healthy Foods Financing Initiative. The project will increase the educational capacity of each through the local colleges and extension office in regards to Ag-related systems and products. Objective 2: To assist each site in developing educational tools to assist with the success of the market, distribution, and business plan for each site. The project will also assist with financial education as well as business best practices. 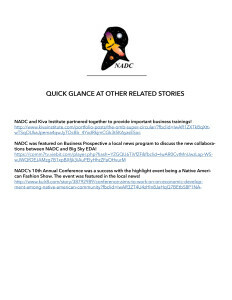 NADC will work with other partners such as Wells Fargo to assist with other financial education mechanisms. 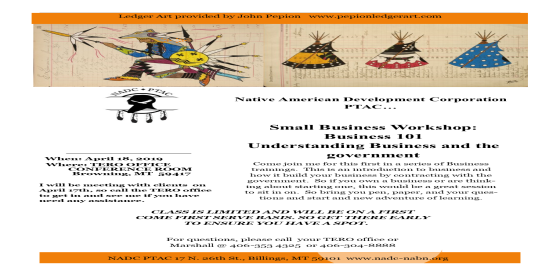 Increase small business ownership among Native Americans by increasing access to capital. 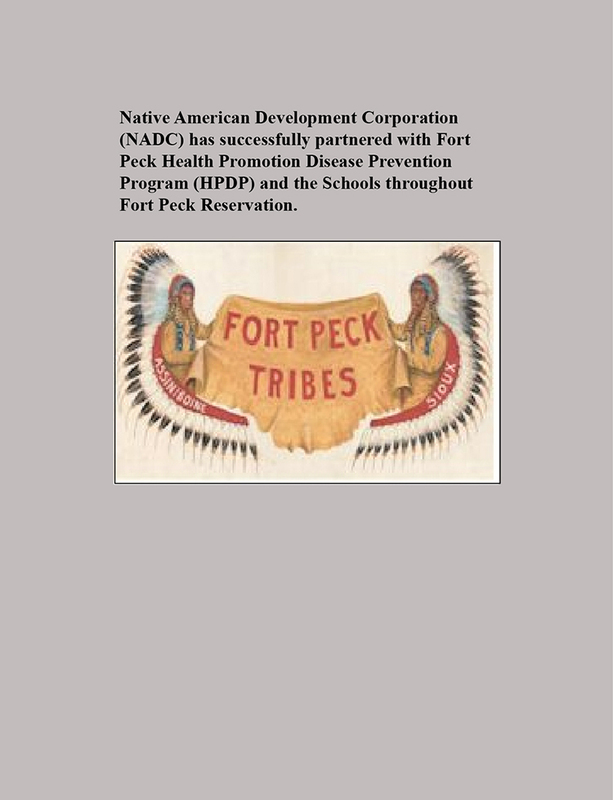 By providing access and financial education by the CDFI within NADC. 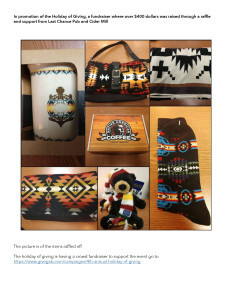 Objective 3: To fund new and expanding Native businesses. Utilize the Revolving Loan Fund as a mechanism of potential financing for small business to help with startup costs. 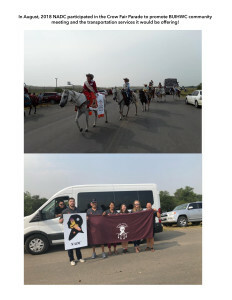 Increase private sector jobs and salaries for Native Americans. 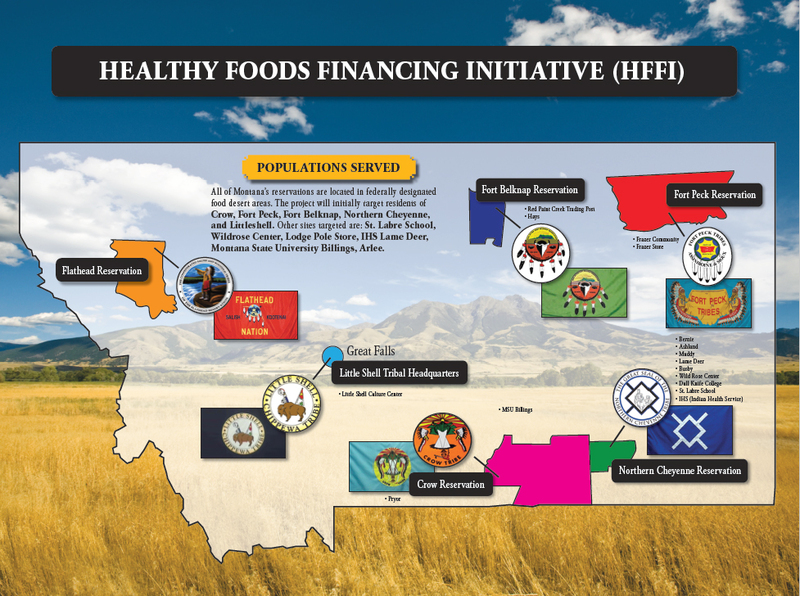 The FY16 HHS-Community Economic Development Health Foods Financing Initiative Projects (HHS-CEDHFFIP) request will find 40 full time jobs, 100% will be filed by low-income Native Americans. Objective 4: Create jobs for low income individuals. The HHS funds will be disbursed in the first two years and the cost per each position created or sustained for 40 jobs will a HHS federal cost of approximately $25,000 per job.